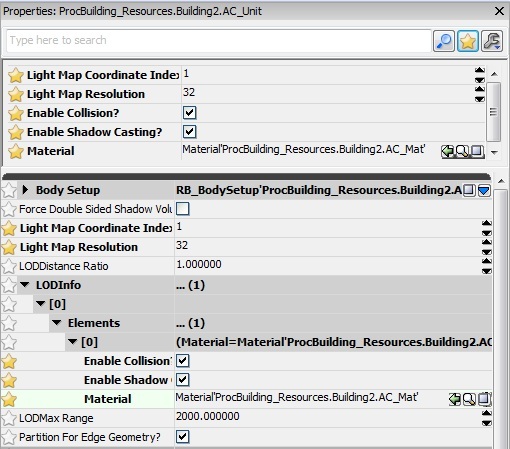 The Property Window, used in many places in various editors, is where variables exposed by script can be edited. 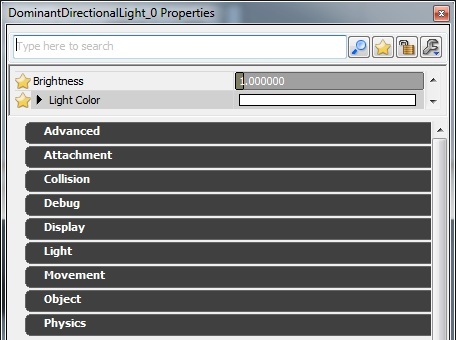 For objects with an abundance of variables, the Property Window now comes with a search feature, as shown below. 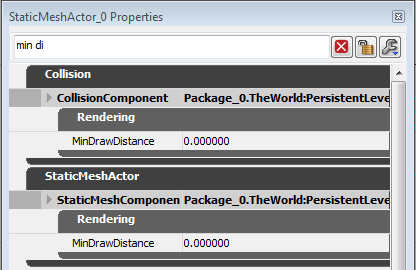 NOTE: The Actor Lock button will only appear when the Property Window is displaying the properties for an Actor. When a search string is entered or Show only modified is enabled, the tree will automatically expand to show you the appropriate properties. To remove the search string, either delete it in the text control or click the red X button. Combined with search, favorites will allow you to quickly access the data you use most often. To enable them, just click the new star button on the toolbar. When the favorites are enabled, just click the empty star next to a property to add it to the favorite window at the top. If you click on the full star (in either section), you'll remove that property as a favorite. 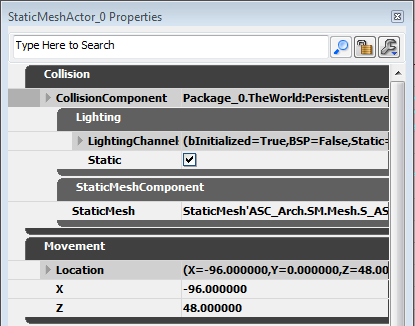 In the Property Window, there are now 3 different ways to clamp values for properties through their metadata. Specifying just a "ClampMin" or "ClampMax" metadata field in script leaves the control a spinner box, but will clamp appropriately. 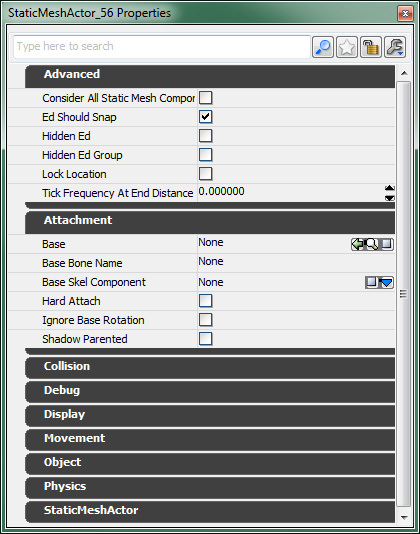 // Setting both ClampMin and ClampMax metadata fields, will change the control to a slider/edit box. If you click and drag, you get the ease-of-use of the standard slider bar. If you click and release, you still get the precision of a text control. UIMin and UIMax are used to specify the range of the slider bar. If either is missing, it will take the relative Clamp value instead. Click and drag will use the UIMin-UIMax range, but the edit box will only respect the ClampMin-ClampMax range. ArrayClamp is used to clamp a property to the valid domain of an array preventing invalid memory accesses!